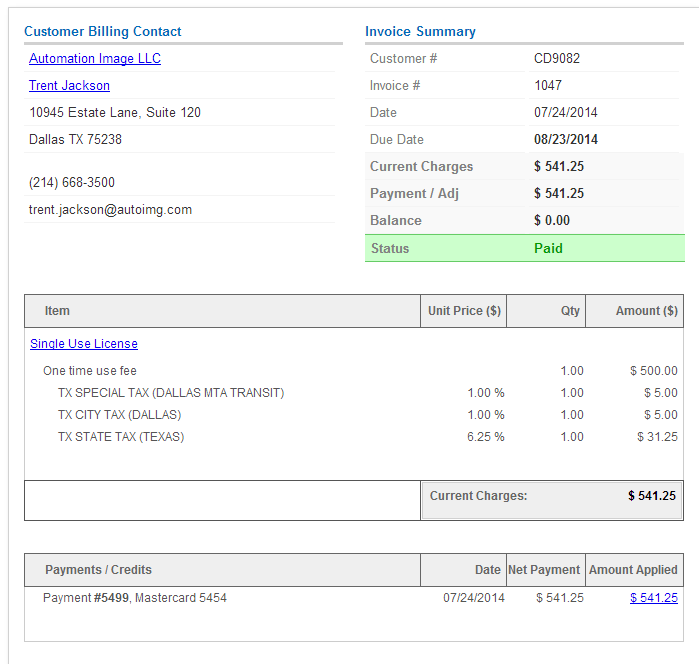 Automating sales tax calculation saves time, money and effort. BluSynergy's partnership with multiple tax services like Avalara allows instant application of the correct sales tax, based on accurate product taxability rules and your customer's billing address. Once the tax provider has been configured, the next step is to simply indicate that a particular Charge is taxable. From the [Plans >> Plans & Charges] menu, select the Plan, and for each taxable Charge, simply edit the Charge and select the "External Tax Lookup" checkbox. (This is under the "Show Advanced Options" link). 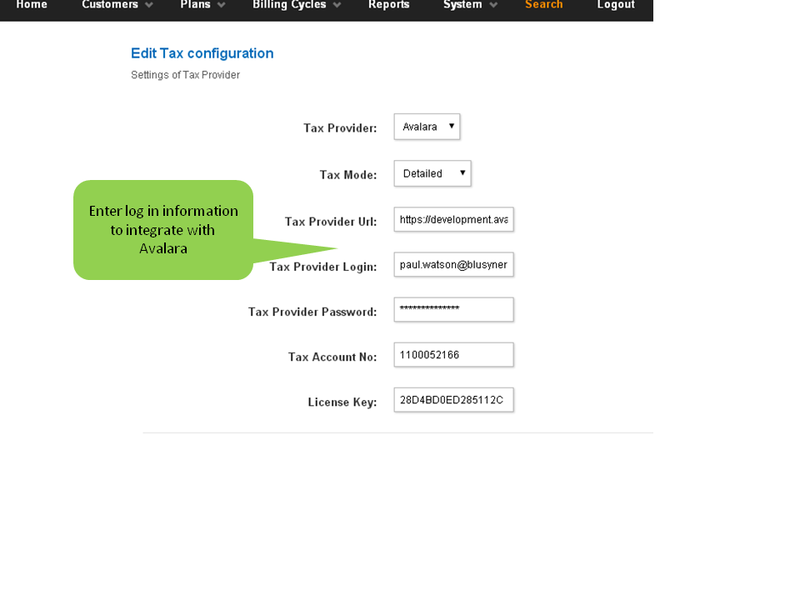 Once this step is completed, all subsequent invoices generated from these Plans/Charges will have the tax automatically computed and applied. The detailed tax information that is dynamically retrieved when the invoice is created is seen below.